Two years ago, I wrote about my great-grandmother Angélina Meunier; see 52 Ancestors: #7 Angélina Meunier – My great-grandmother. Today, I focus on her burial record on the 120th anniversary of her death. Angélina died on 26 July 1896, four days after giving birth to her 11th child, a son, who did not survive. Her funeral took place two days later in Sainte-Cécile parish church in Masham (now La Pêche), Quebec. 1. 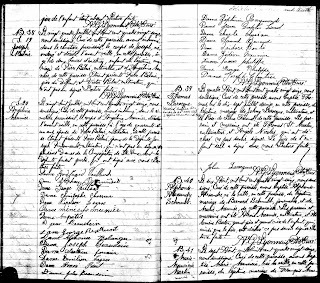 Ste-Cécile (Ste-Cécile-de-Masham, Quebec), parish register, 1887-1898, p. 209 verso, entry no. 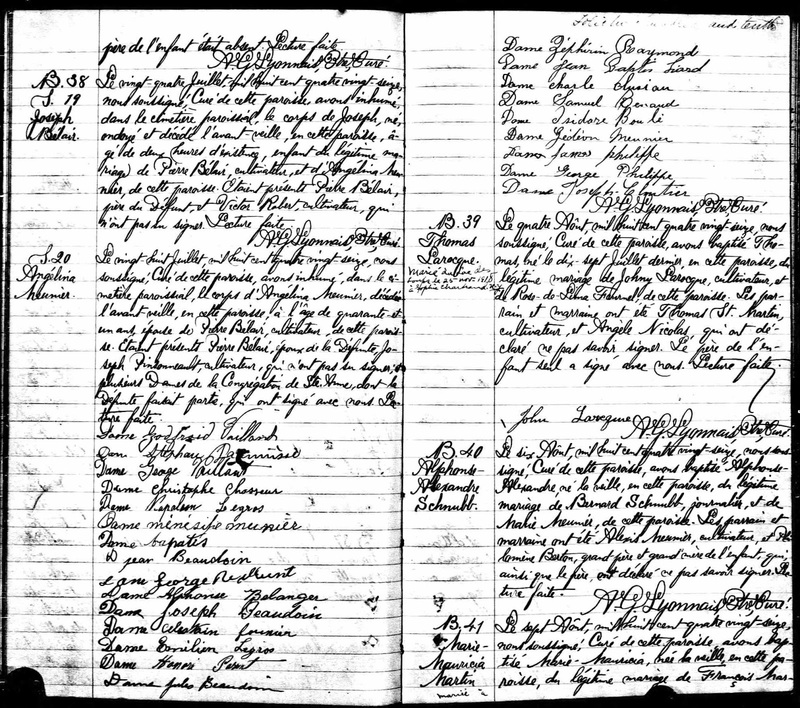 S.20 (1896), Angélina Meunier burial, 28 July 1896; Ste-Cécile-de-Masham parish; digital images, “Quebec Vital and Church Records (Drouin Collection), 1621-1967”, Ancestry.ca (http://www.ancestry.ca : accessed 1 March 2012).